We refer to this term a lot in the world of Dental Implants and simply refers to the ability to place a Dental Implant and a temporary tooth in one visit. Hence patients attend with either a missing or failing tooth, bridge or denture and we have the expertise to assess and place dental implants to replace these areas and give patients a new fixed smile in one appointment. This method does require certain criteria to be met in order to carry out such treatment and this will be discussed with you during the initial examination we carry out. Same Day Implants: Immediate Load Dental Implants, also called “same day implants" and "teeth in a day," allow placement of a temporary tooth (crown) during the same appointment as dental implant placement. You will go on about life and work while the dental implant fuses with your natural bone and the long-term custom crown will be placed in about three to six months. The procedure is best for patients who have enough natural bone and an implant that is secure enough to support immediate placement and pressure on the new temporary tooth. Immediate placement is not appropriate for all patients and cases, so talk with your dental implant expert about the best option for you. 2. Impressions and 3D Scans (When required). 3. Registration of Bite criteria and 3D model of proposed teeth / smile. 5. 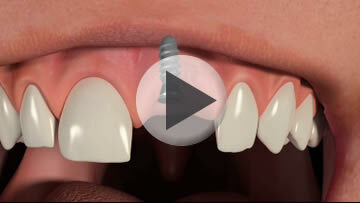 Placement of Implant(s) + Placement of teeth in one appointment. Immediate Implant: for this technique a tooth is removed and an implant placed immediately into the extraction socket depending upon the local bone and soft tissue conditions, the implant surgery may be one or two-stage procedure. Not all patients are suitable for this approach. All-on-4 is an alternative approach to place a full arch (top or bottom set) of fixed, replacement teeth. 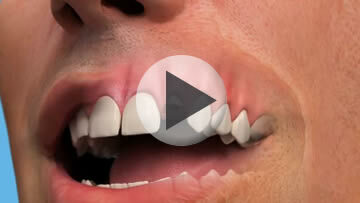 Four dental implants are used to stabilize the replacement teeth. 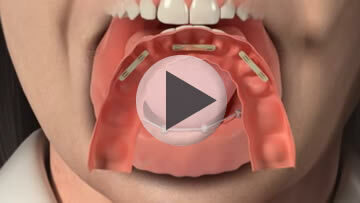 The All-on-4 concept involves placing implants in available bone, thereby avoiding the need for bone grafting. Special abutments allow a temporary set of replacement teeth to be placed the same day and used with a modified diet while gum tissues heal and the implants integrate with natural bone. After about six months, the final bridge is then placed and the patient is able to resume a normal diet. The all-on-four approach involves multiple appointments, typically including one or two consultation and planning visits, one to place the dental implants and temporary teeth, check-ups during the six month healing period, and another appointment to place the final bridge.